The Only Cross Database Migration and Sync Solutions You Will Ever Need! Although industry leading database engines like MySQL, MS SQL Server, Oracle, MS Access, PostgreSQL, SQLite, MS FoxPro and etc. are very similar to each other, but they are not identical in their supported data types, metadata organization or internal data manipulation capabilities. The manual data transfer process is a time-consuming difficult job that is also very prone to errors at a destination after migration. Fortunately, our cross database migration and synchronization tools help to convert and replicate your database effortlessly and rapidly. They keep your data integrity, database structures, the relations between tables and map data types. Our software builds the new target database, creates tables, indexes or migrates data to existing database. It inspects elements of source database before migration. If there are potential problems in data types incompatibility, relations between existing database and target one, the tools will flag them for your attention. It doesn’t matter if you’re an expert in database server administration or not, with a few clicks of the mouse, the data is converted to the database of your choice while you can sit back with a cup of java. With the step-by-step instructions, you can easily migrate your database to any other database as listed below! Database converters focus on database migration tools. They are being used to accomplish data import and export in both forward and backward directions. They have the ability to cross migrate between multiple databases in a convenient way. Conversion software assists the users to examine their database structure, relations and views and move them accurately and quickly. When you need a database conversion tool to specialize in cross database migration that converts over 1 million records in 5 to 10 minutes – you need our db converters! Database synchronizers group consists of data synchronization tools. You can easily compare different databases and find all the identical, different, missing and additional records with the help of Sync tools. Insert, Update and Drop Synchronization will assist you to synchronize these databases with less hassle. New instant trigger based synchronization feature increases the data replication speed significantly. Conversion of MS Access 64 bit databases is now available for DBConvert for Access & PostgreSQL tool. Move both 32-bit and 64-bit databases in PostgreSQL. Improved engine performance in all Firebird related products. Now data transfer speed is increased up to 15%. DBConvert for Access & MySQL with compatibility with MS Access 64-bit version released. Support for MS Access 64 bit databases in DBConvert for Access & MSSQL product was added. DataBase conversion/synchronization engine improved in all Visual FoxPro related products. Improved synchronization speed in all SQL products when SQL is a target. 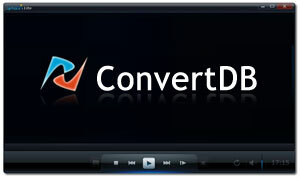 DBConvert for Access and MySQL Queries conversion enhancement. Ms Access queries are processed more productively. Consider the list of possible database backends for your apps instead of obsolete Microsoft Visual FoxPro databases at FoxPro Export software. Microsoft announced the end of extended support for Visual FoxPro after Jan 13, 2015. SQL Server 2014 is now supported in all MS SQL related products. Support of Amazon RDS is added for all PostgreSQL related products. Improved performance of the engine in all Oracle products. Conversion and synchronization speed improved up to 15% for all SQLite related products. DataBase engine improved for all PostgreSQL and MS SQL related products. New feature for views conversion in DBConvert for MS SQL and MySQL product was implemented: Now you can bypass all restrictions converting MS SQL views to MySQL views. Triggers Multiple Rows Handling is added in all MS SQL related products for DBSync series. An application for data replication between Oracle and PostgreSQL released. New product for Oracle to PostgreSQL Migration and back is released! IMPROVED: DataBase engine for all MS SQL related products. The trigger-based synchronization process. Parameterized queries for FoxPro and MSSQL Converter and Synchronizer implemented. Conversion speed increased approximately by 15%. Simultaneous Bidirectional synchronization and Trigger-based synchronization method for DBSync for MySQL and PostgreSQL are now available. DBForms from Access to PHP + MySQL new version released! Improved: DataBase conversion engine, PHP conversion engine, Access queries conversion. Reliable Bidirectional synchronization for DBSync for MS SQL and PostgreSQL is added! Simultaneous Bidirectional synchronization between Oracle and MySQL is now also available. Bidirectional synchronization is now available for Oracle and MS SQL synchronization tool. Change your data in both directions simultaneously! Bidirectional synchronization for MySQL and MS SQL Synchronization tool is implemented. Now you can modify the data in both directions simultaneously! Added the ability to store manually created filters in a session for further using. ADDED: Ability to include linked tables into migration process if MS Access is specified as a source (For all MS Access related products). NEW: It is possible to convert and synchronize a whole database with some restrictions in Trial mode. SQL Azure conversion / synchronization is available for MSSQL & MySQL. Conversion speed for MSSQL & MySQL conversion tool is incredibly increased. Now 1 million records can be migrated in 5 minutes. New trigger based synchronization algorithm was implemented. Now it analyzes destination database, as well to make sync process more accurate. Read more about how our data conversion software can help your business.